As project planning goes forward, the Sustainable Village Water Systems technical team is mapping topography, hydrology, infrastructure and population for each broken water point on the Ministry of Water’s target list. But perhaps more importantly, we are surveying the social support networks that surround target communities. Local partners such as church groups, NGOs, companies and community leadership groups will be the keys to sustainable success for both the national water point rehabilitation initiative and workforce development. The Sustainable Village Water Systems Program is a public-private partnership that will create sustainable systems solutions designed to tackle interrelated food, water, energy and health challenges that face Tanzania and much of Africa. The partnership was formalized in 2015 when the Ohio State University, with partners Hecate Energy and WorldServe International, signed a Letter of Intent with the Tanzanian Minister of Water to frame, secure funding, and execute the Sustainable Village Water Systems Program. 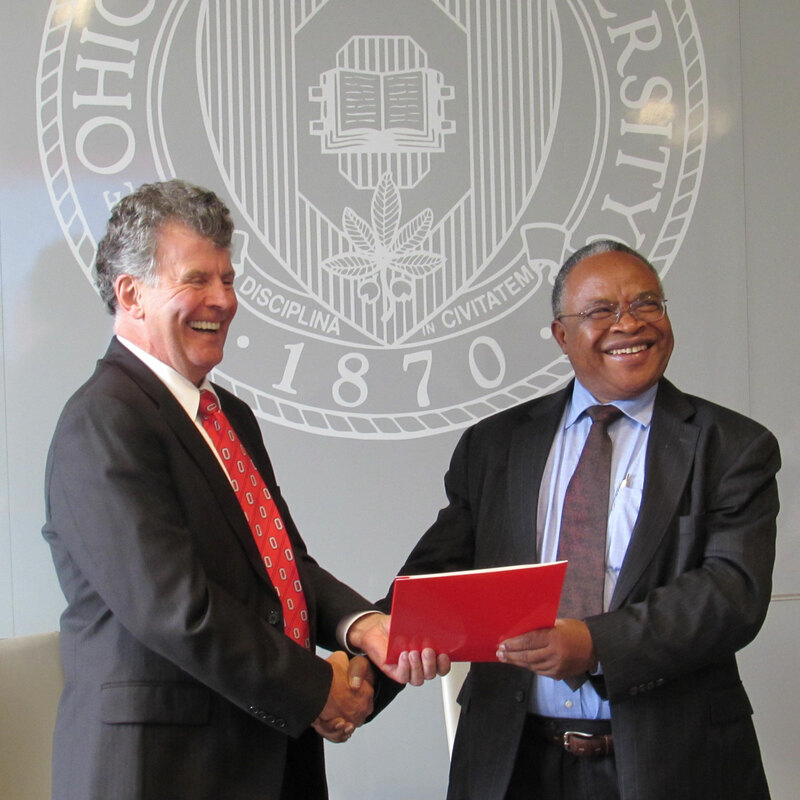 At the same time, Ohio State signed a Memorandum of Understanding with the University of Dodoma to create and launch new collaborative programs that support the development of a capable and enterprising workforce in food, energy, water and health. The Ohio State University is a land-grant university with a strong track record of integrated international development projects in agriculture, renewable energy, health and water. The university’s Global Water Institute acts as an independent systems integrator and lead entity for the Sustainable Village Water Systems Program. The University of Dodoma, Tanzania’s newest and fastest growing university, is committed to creating the workforce of a sustainable future with a major on-site solar power plant and academic programming that provides training from certificates to advanced degrees. As part of the Big Results Now campaign, the Ministry of Water of the United Republic of Tanzania has adopted innovative strategies to ensure water access for Tanzanians. Public-private partnerships, capacity building, and data-based watershed management are key to the Ministry’s vision. A U.S. 501(c)(3) organization, WorldServe International builds large-capacity water wells to help transform impoverished communities in East Africa and has been working in Tanzania since 2001. Each day, more than two million people in East Africa receive clean water from WorldServe wells. Hecate Energy is a developer of large-scale renewable energy systems with over 2,400 MW of power plants around the world. A Power Africa charter member, Hecate will break ground on a 55 MW solar plant at the University of Dodoma in 2016. The consortium work will be impossible without the support of many Tanzanian and international NGO, industry, agency and community partners. These relationships are crucial to the success of the Sustainable Village Water Systems Program and to realizing transformational change in rural Tanzania.